AL SULAYMANIYAH, IRAQ VISITORS: Please contact us if we can provide you with cd of these video`s/images, if you are locals to this area, we would be happy to shoot photo`s of local area`s or family and get it to you - contact at info@starznbarz.com.The 9 Video`s are 2 & 3 minute clips of some of the action, be sure your speakers are on,These photos BEST viewed using the slideshow button in the upper right. 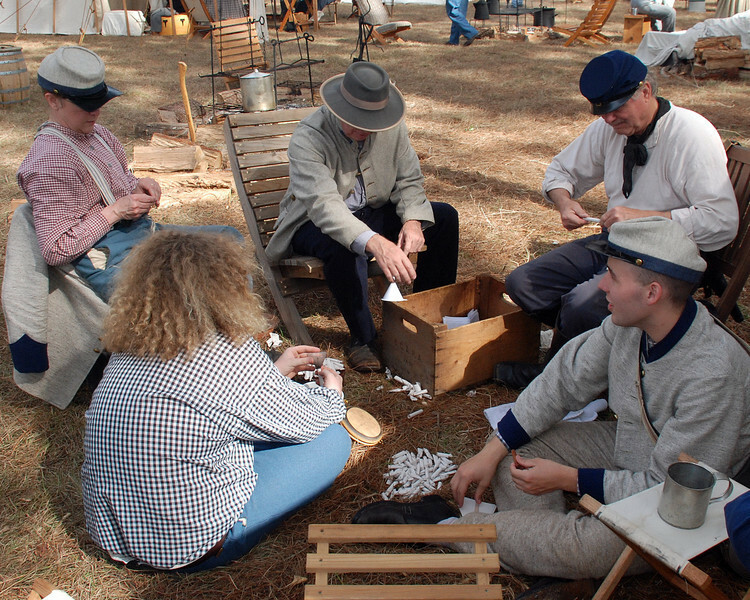 The Brooksville Raid is a re-enactment based on the battle of Shiloh, TN. A two day battle that was initially in favor of the Confederates, but ultimately won by the Union forces on April 6, 1862. Click on "starznbarz" at the top left to see all our galleries, other re-enactment coverage in our "history" gallery. Rebel soldiers load paper cartridges in preparation of the battle.